I kept to my plan and finished hand quilting this small quilt last week. Now I’m working on binding. Many people commented on the one block that had a little bit of gold in it. That was my inspiration for the binding choice. It isn’t exactly the same color, but I think I’m gonna like this. Hope you got in lots of slow stitching over the holiday weekend. Great finish, Katy! 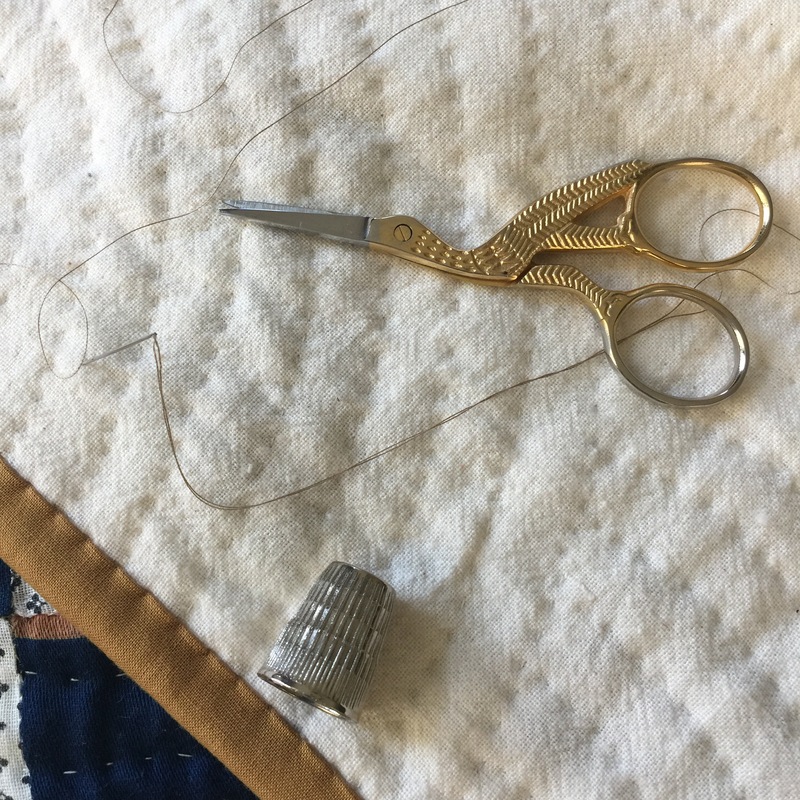 When I finish up hand quilting a project, it is always bittersweet….because hand quilting takes a while, I really get attached to that project, and I am a little sad to see it come to an end! But that is short lived as I move on to the next project! 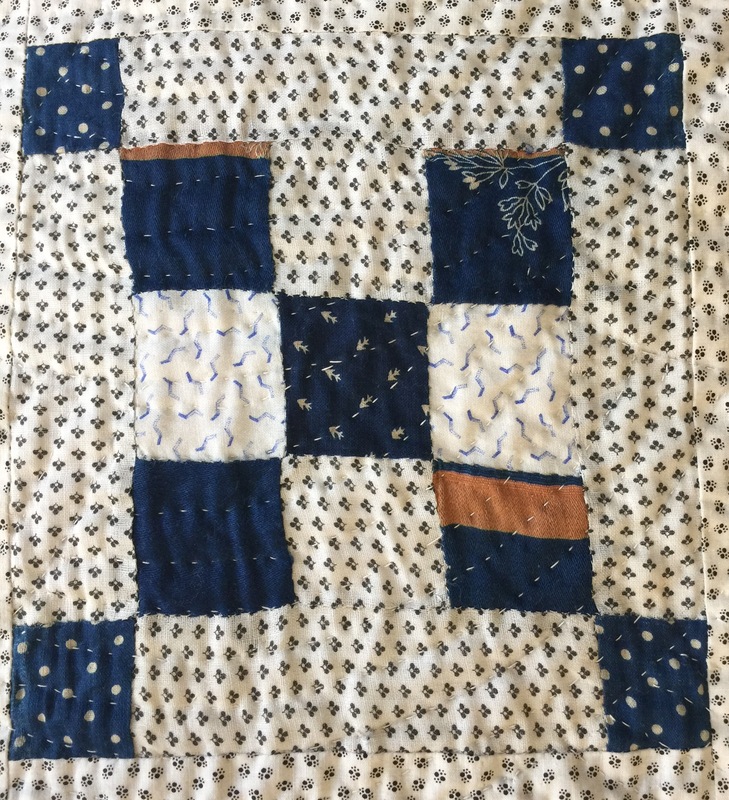 Doesn’t it feel good to complete the hand quilting portion of your quilt? I think your binding is perfect and can’t wait to see it when completed. Great job. The binding color is a nice choice. I love pictures of hand quilting. It just satisfies an embedded need to see things homemade. Lovely little project. I like your binding choice. Enjoy your stitching. I think the binding color is perfect…good job! Oh, I think that binding is gonna be perfect! Happy Sunday, Katy! Looks nice, I hope you’ll show the finish later. Love that binding color! Happy stitching.